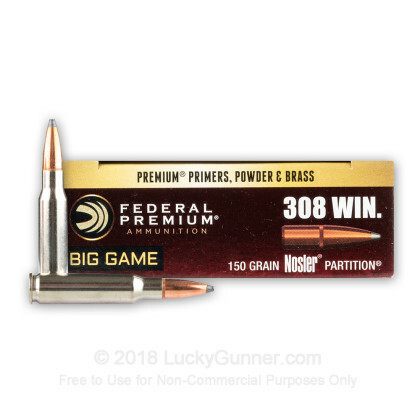 This .308 Winchester ammunition from Federal's Vital-Shok series features the Nosler Partition, a time tested soft point design with a dual core construction. 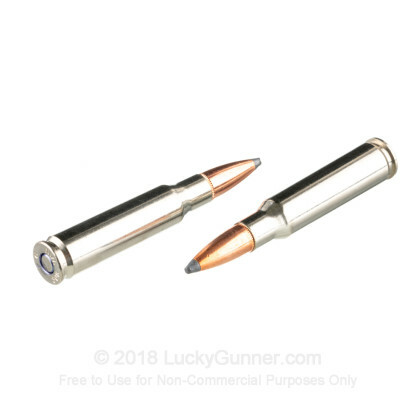 The rear of the bullet is weighted heavily to produce a high level of penetration, while the frontal core expands to bring down deer and other game with ease. 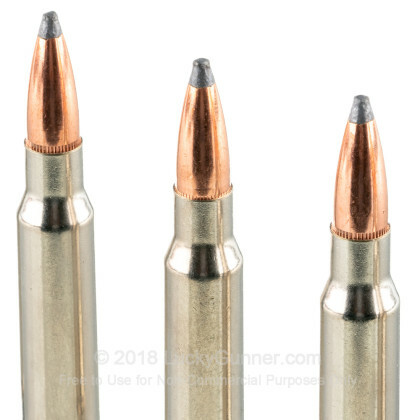 By expanding without fragmenting, the bullet achieves a clean kill without damaging too much meat. 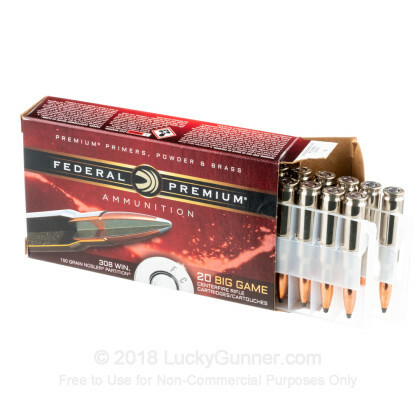 Each cartridge in this box of 20 fires a 150 grain bullet at a muzzle velocity of 2,840 feet per second. This results in excellent long-range accuracy and enables you to make those tough shots with confidence. These cartridges are loaded in Anoka, Minnesota using non-corrosive Boxer primers and brass cases. 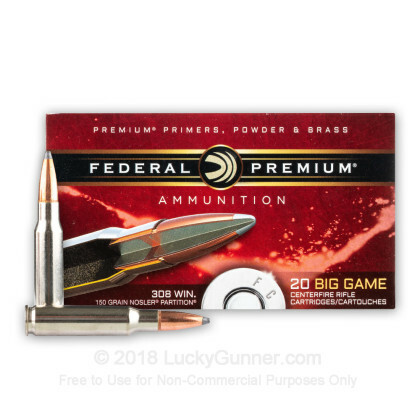 Federal operates as a division of Vista Outdoor, which also owns Speer, CCI, Estate, Bushnell, and other notable shooting brands. 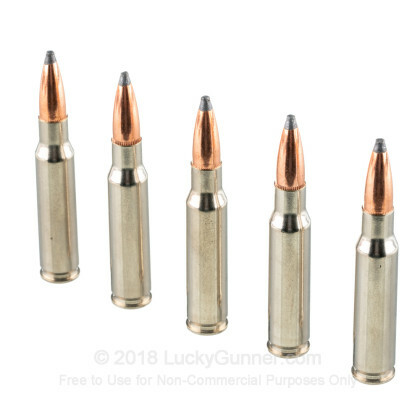 The ammo is accurate and does really well as a hunting round. It literally tears big holes in what it hits. I'm a believer.